If power is inherently evil, does that mean that public relations itself is an unethical practice? Not if PR practitioners are trained in ethical thinking. When you want to test the character of a person, give that person power. This common adage, sometimes attributed to Heraclitus, Shakespeare, Cicero, and other times to Abraham Lincoln, rings especially true for public relations. Public relations holds power and often moves behind the visible scene by working with, and for, influencers. Books such as "The Unseen Power" by Scott Cultip document the use of public relations in the halls of power – both governmental and corporate – and the ability of the public relations function to change social norms. In a public relations history class, we often talk about women’s right to vote as one example of public relations challenging and eventually changing social norms. However, power can be a double-edged sword. Accompanying such power is an undeniable ethical responsibility. Ethics and judging good outcomes are intertwined with power because power without ethical rectitude invites corruption. Does absolute power absolutely corrupt? Almost always. A perplexing and persistent problem for ethicists is explaining what it is about power than so often leads to corruption. Is it a lack of accountability, freedom from checks and balances, no fear of reprisal, or something inherently evil in power itself? And if power is inherently evil, does that mean that public relations itself is an unethical practice? Although ethicists take different approaches to answering these questions, the problems they pose are spiny ones. Most have a conclusion that is similar, yet surprising. Although absolute power often leads to corruption, it is not the power itself that is problematic. It is the selfishness of the power-holder that corrupts. Ethicists arrive at this conclusion through logic but also by examining the opposite cases – when does power not corrupt? Leaders of moral fortitude almost never seek power; it is thrust upon them by obligation, circumstance, or situation. Many times, those paragons of leadership talk about how reluctant they were to take the role, and how cautiously they study each decision. The selfishness of seeking power is, then, what ultimately corrupts. Those who seek out power for their own selfish purposes rarely engage in the rational moral analysis of its use, because they preference their own desires, rational or otherwise, above all other ends. Those who are thrust to power can normally be trusted to make more ethical decisions, because it was not their own biased desired that put him or her in that position. This concept is servant leadership or legitimate power; both hot topics of study in ethics. As it flees when it is sought, legitimate power is the most elusive of goals. Here is an example of the problem. When teaching ethics, I often tell students that one or two student holds absolute power over the entire classroom for the next few minutes…and observe what ensues. Often that means we move the class out to a courtyard or enjoy a trip outside as a group. However, the occasion often arises that the student leaders exploit the other students for personal gain: "Everyone has to give me a dollar" or similar. This is when I step back in to prevent usury, and we discuss what it is about power that is so corrupting. Again, returning to the base desires of selfishness is the culprit. Power itself can be a wonderful and liberating thing when wielded ethically. It isn’t the power that corrupts; it is the selfishness that results from an untrained mind not using the rational approach of ethics. A rational approach can eliminate bias, prejudice, selfishness, and fiat. Ethics trains the decision-maker to be analytical to sort out a fair and logical action without using caprice to drive decisions. To wield power ethically without corruption proves a difficult task, but not an impossible one. The power of the Civil Rights movement is one example of an ethical way to wield power without selfishness, but with sacrifice, servant leadership, and rational discernment. Others use altruism as a basis for action when wielding power. Today, in modern public relations, we can wield power in an ethical way by practicing servant leadership. Servant leadership seeks to empower others and facilitate the success of others. Corruption can creep in to many decisions due to bias or self-interest alone when it is not guarded against at every turn. To be ethical communicators and leaders, the power of public relations should be used to empower others – to facilitate wise decisions through providing information, by making a range of options possible and actionable, and by serving the interests of society – as well as those of clients. In this manner, public relations is not only guarding against the corruption that often comes with power, but also creating a social good. That good is created when public relations pros use our power to define and influence issues that empower others. 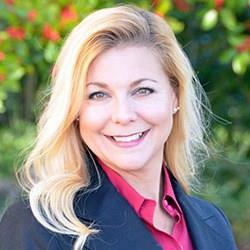 Shannon Bowen, Ph.D., researches and teaches PR ethics at the University of South Carolina. She is a member of the board of trustees of the Arthur W. Page Society and the board of directors at the International Public Relations Research Conference. Her column will focus on PR education, ethics, and the C-suite. She can be reached at sbowen@sc.edu.